Lara Jackson joined the Banning family about 10 years ago. Lara has been horseback riding since she was about 8 years old. 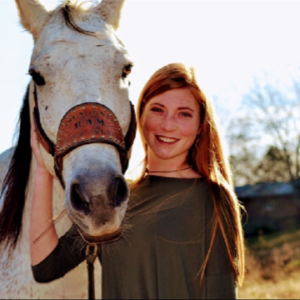 About 20 years ago, Lara took her passion for horseback riding and opened Sandhill Trails located in West Georgia. Currently, Lara owns approximately 30 horses. Her area of expertise lies with training of horses. When asked why Lara came to Banning as our Wrangler she said “For the peace and solitude. Navigating the trails on horseback gives me the opportunity to take a stroll back in history at Banning. The historic artifacts are simply amazing. 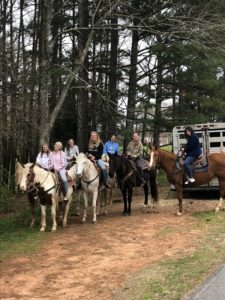 Couple that with the experience of meeting new people and opening their eyes to the art of horseback riding, each ride is truly a pleasure at Banning.” We thank Lara for being a part of our team! Pictured is Lara’s daughter Emma with one of Sandhill Trails many 4-legged residents. Enjoy horseback riding on beautiful historic trails with peaceful surroundings! Ride on the old water raceway systems alongside the Snake Creek and view the ruins of the paper mill. A beautiful ride anytime of the year. 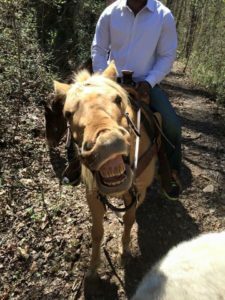 A unique horseback riding adventure! 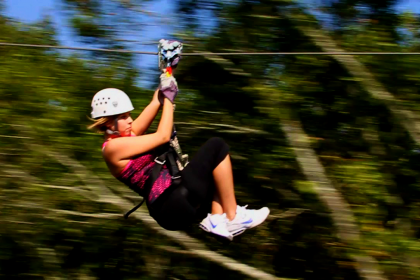 $79 per person for the 2-hour ride. Riders must be 10 years old and up ( we do Not allow tandem rides). Must wear a closed toed shoe to ride. Helmets available on request. Riders must weigh 250 lbs or less to ride. We require a 7-day cancellation notice for all rides. If you cancel less than 7 days before the reserved ride, a 50% charge of the total will be assessed to the credit card on file. You may move the date once with a full payment plus a $5 pp transfer fee as long as it is not the day of. No shows or day of cancellations are 100% charge. Advance notice and reservations are required. Do not wear flip-flops, sandals or shoes with no backs. A one-inch heel is suggested. Pants are suggested for a more comfortable ride. Minimum of two to open the ride. PLEASE NOTE: At this time, all Horseback rides are by phone reservations only. Please call 770-834- 9149 for times available.